Senancour was a French essayist who spent most of his life in obscurity, surviving primarily by his pen. He finally attained some notice in 1827 after he was accused of slandering religion in the second edition of his Résumé de l’histoire des traditions morales et religieuses. 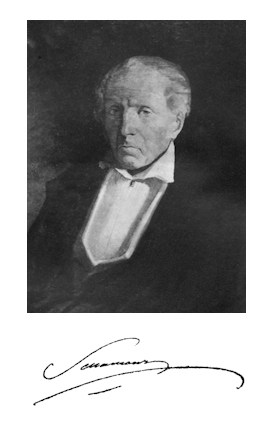 The successful defense of his case and the resulting publicity saw reissues of his earlier works including Obermann, De l’Amour (1806), and Libres Méditations d’un solitaire inconnu (1819).